Pastor Sam Gibbs and his wife Helen answer prayer requests mailed recently to their Hillsborough home. 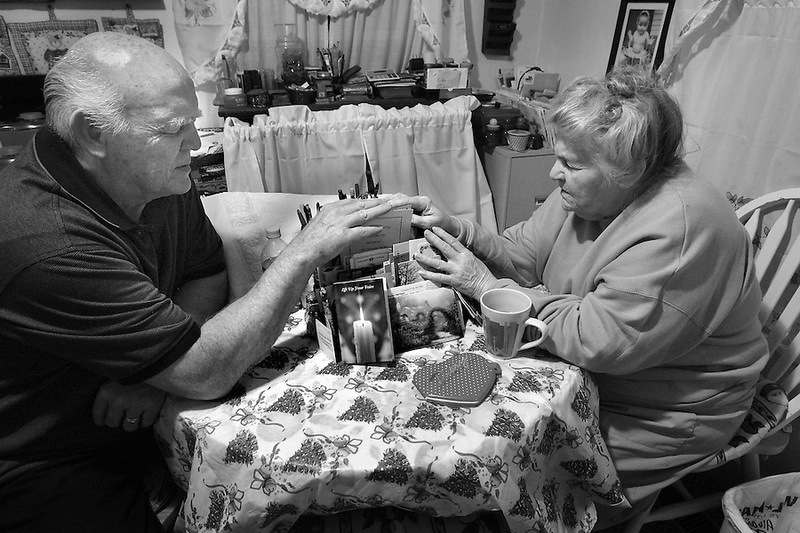 As they do each morning, the couple placed their hands on the letters, stacked neatly on their kitchen table, and prayed for the specific needs inside. "Whatever problems we face today, God will handle them," said Helen Gibbs. The letters come from people the Gibbs have met through more than 30 years of Christian evangelism, including missions to Trinidad, Haiti and Israel. "This is the way of our lives," said Pastor Gibbs. "We start each day in the Spirit of the Lord, asking God what he wants from us today."